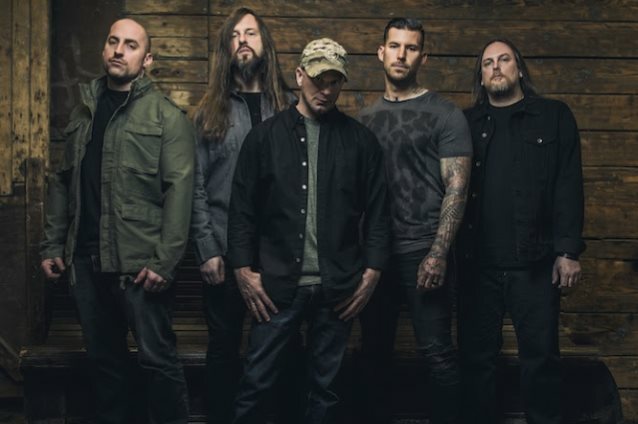 Massachusetts metallers ALL THAT REMAINS have completed writing five songs for the follow-up to last year's "Madness" album. Singer Phil Labonte said in a tweet: "I'm pretty proud of the lyrics and can't wait to share them with you guys. It'll be a min, but it's some angry stuff." So @ATRhq has 5 songs fully written. I’m pretty proud of the lyrics and can’t wait to share them with you guys. It’ll be a min, but it’s some angry stuff.